Happy Earth Day! Today is a great time to stop and smell the roses…literally! We live at such a frenzied, chaotic pace that it’s important every now and again to take a moment to connect with the world around us. Earth Day began in 1970, founded by U.S. Senator Gaylord Nelson. Senator Nelson wanted to host a teaching day on the environment in schools and college campuses. 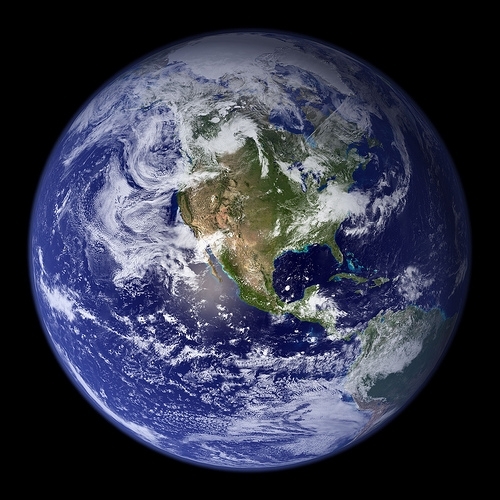 40 years later, almost every country around the globe celebrates and honors the planet on April 22nd. In Thailand, they raise awareness for recycling. In Egypt, dives will be held to clean up the Red Sea. Argentina hosts a campaign to reduce energy. In China, the Jane Goodall Institute will teach people about reducing their carbon footprint. People celebrate by planting trees in Ghana. Here in the U.S., on Sunday, April 25th, a Climate Rally will be held on the National Mall in Washington, DC. With the threat of climate change, loss of natural habitats and endangered species, we need to take action to be kinder to the environment. Even small changes can make a huge impact. Turn the lights off when not in a room to conserve energy. Replace your regular trash bags with biodegradable Perf Go Green bags (you can buy them at Shaw’s or CVS). Buy organic fruits and veggies. Chemicals are bad for you and the environment. Buy organic clothing, sheets and towels. Even Payless Shoes has cute organic cotton shoes now! Use non-toxic skincare, haircare and cosmetics products. My faves are Aveda (shampoo, conditioner and hand cream), Dr. Bronner’s Soaps, California Baby (sunblock) and Bare Minerals (foundation). If you’re a woman of color, check out Inky Loves Nature. Recycle your cans, plastic bottles, magazines and newspapers. To dispose of hazardous wastes like batteries, air fresheners and shoe polish, visit earth911.org. Use reusable tote bags when grocery shopping. Replace your chemical cleaners like bleach with non-toxic products like Method or Mrs. Meyers. Not only do they clean just as well as the nasty stuff, you’re not breathing in all the harsh fumes so they’re better for you and your family. Eat more vegetarian meals. Eating meat increases your carbon footprint by contributing to greenhouse gases. If you’re a bit more ambitious, plant a vegetable garden. 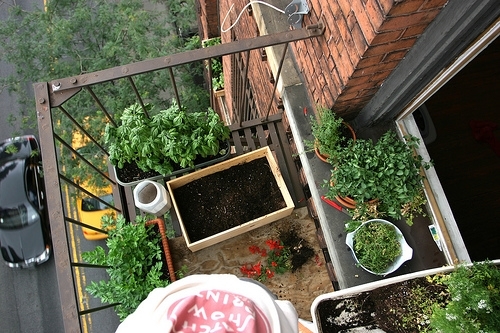 For all you apartment dwellers like me, get inspired to grow your own apartment garden here. Or learn how to grow a hydroponic “window farm”. You can also use products such as the Topsy Turvy or the EarthBox. Learn how to plant a one-pot herb garden here. Read Sophie Uliano’s book Gorgeously Green: 8 Simple Steps to an Earth-Friendly Life. So go on and show Mother Nature a little love. What are your fave eco-friendly tips? Tags: Earth Day, eco-friendly, environment, vegan. Bookmark the permalink.